Please write to UNAIDS and express your concern about choosing Daw Aung San Suu Kyi, Mynamar opposition leader as UNAIDS Global Advocate for Zero Discrimination heading the ‘zero discrimination’ campaign in light of her lack of concern for the extreme suffering – include hate based violent expulsion and exclusion – of the Rohingya minority in Myanmar. UNAIDS have chosen Myanmar opposition leader, Daw Aung San Suu Kyi to front a campaign against discrimination when she has failed to address violent hatred against Rohingya in particular and Muslims in general in Myanmar. Nobel Peace Prize winner, Daw Aung San Suu Kyi, being an influential leader of Myanmar’s National League of Democracy, was sadly heard in an interview playing down the horrific atrocities suffered by the Rohingya community. 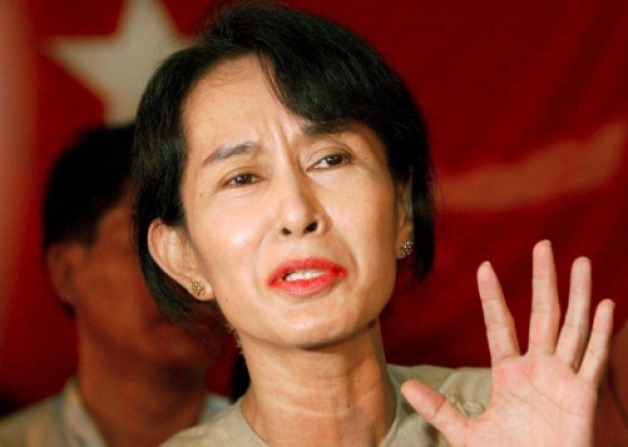 Her equivocal attitude towards the mass-scale genocidal acts against Muslims in Myanmar in particular the Ronhingya is very shocking and in sharp contrast to the anti-discrimination campaigns she supports and the peace titles she has been awarded. Please write to UNAIDS and express your concern about their choice of Global Advocate. I am deeply concerned about your recent appointment of Daw Aung San Suu Kyi as the UNAIDS Global Advocate for the Zero Discrimination campaign. Ms Suu Kyi’s ambivalence towards the situation of Ronhingya has been interpreted as lack of concern and an apparently indifferent attitude towards the mass displacement and persecution of the Rohingya minority in Myanmar. Given her failure to address this issue, I feel her choice as Global Advocate is a very poor one, and I am very disappointed in UNAIDS. UNAIDS has inadvertently endorsed the racist and anti-Muslim sentiment that is rife in Myanmar right now, and I hope you will now use this as an opportunity to either ask Ms. Suu Kyi to make clear statements of support for persecuted minorities in Myanmar and against the violent racism they have been facing. If she does not, I urge you to revoke her appointment as UNAIDS Global Advocate for the Zero Discrimination campaign as her lack of empathy and absence of immediate action to resolve the plight of her own people proves is at best deeply problematic. It can do the Zero Discrimination campaign little good to have an advocate who does not condemn discrimination at her own door.